Edited: The giveaway is now closed. I will notify the winners. Please submit a comment telling me if your address is in the U.S.A or international (outside of the U.S.A). Make sure that I have your email address with your comment. For an additional entry please subscribe to my blog by email (top right of the page between the header and the social media buttons) and tell me in your comment that you subscribed. Important!! Please read the Terms and Conditions of this giveaway! Congratulations on your 5 year blogiversary! You’ve brought so many creative and inspiring lunch ideas into our lives. In fact, you inspired my friend and I to try our hand with bento boxes! Thanks so much for all you do. (I might as well enter the contest while I’m at it: I’m in the US, squirrelpicnic(at)gmail(dot)com, and I subscribe to your blog.) Here’s to many more years of bento fun! Live in the United States and I’m a subscriber to your blog. Congratulations on your blogiversary! The food is cute and very tasty. I am in the us of a.
Congrats on your 5th year anniversary! We live in the USA. Oh wow this is such a superb giveaway! My daughter starts kinder and we have been trying to save up for her lunchbox/bento supplies. I still don’t even have a bento container and she starts school in just over two weeks. We still don’t have her supplies and her birthday is the same week she starts but finances are so tight, saving up is hard. I am already a subscriber to your blog/newsletter. I’m so proud of you, Kathy! 5 years of consistency is a HUGE accomplishment! Congratulations on your anniversary! We’re in the US. Congratulations on five years of sharing unique ideas! I have enjoyed reading your posts for a long time now. You do a great job coming up with a wide variety of bentos. I have a US mailing address. Happy Blogiversary!….a full hand! I live in the USA. I’m in the United States! I would love to win! Thanks for such a great resource!! Usa and I am subscribed. This is so nice! Happy 5 years!! I am in the United States and I already subscribed to your blog! Happy Blogiversary!! 5 years of amazing lunches! I’m an international fan, and I have now subscribed 🙂 good luck everyone! Happy Blogiversary!! I’m in the US and subscribe to your newsletter. I couldn’t have stumbled upon this blog at a better time! Congrats your accomplishment! I’m in the USA and have subscribed to your blog via email as well! alisab.volz (at) Gmail (dot) com. I am in Canada. Congrats on 5 years!! Would love to win! I’m an international fan and I subscribed! Love the ideas on here! I’m international and subscribed! Congrats, and thanks for the giveaway!! Congratulations on 5 years! We are in Canada and are already subscribers. I am international and would love to win! I’m following you via Wordoress, but couldn’t figure out how to follow via email? I’m so glad to have found your blog! Congratulations on five years!! I live in the US. Great accomplishment. Happy Anniversary! Thanks for the contest. Congrats on 5 years anniversary! Congrats on 5 year anniversary! I am in Canada. 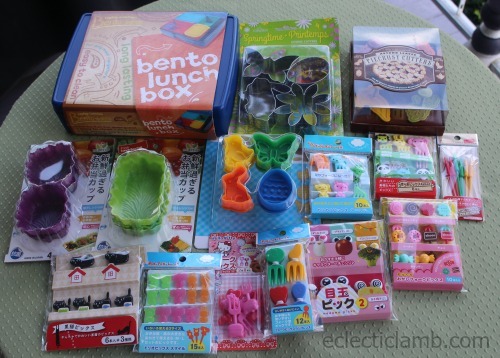 Just getting into the bento box world for this up coming school year so this would be awesome! Email is shesmyeverything05@hotmail.com. Thank you for this chance to win!!! 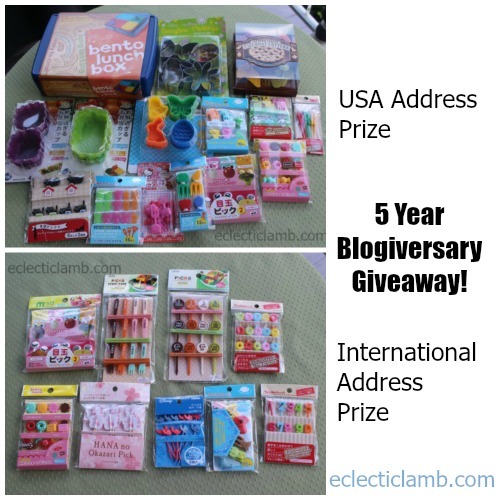 Congratulations on the 5 year blogiversary! I’ve subscribed 🙂 and I’m in Australia! What a great blog – so glad I found it! I came across this contest on Facebook and am very excited to enter your international giveaway!! I will definitely be subscribing as well. what an awesome giveaway. Congrats on 5 year blogiversary. I’m in the USA. Congrats , I’m very new to the bento world and love to grow with new items ! I’d love to join the blog but not sure how ? Such an awesome giveaway! Thanks! I am in Canada so international. Congrats on 5 years. This giveaway is fantastic! I’m in the USA. I just subscribed to your blog. My email is: rdharmeson@hotmail.com. I’m in the USA (and Happy Blogiversary)! Thanks so much for including us Canadian folk!! ♡♡♡ Subcribed! Where can I buy online this product’s with international shipping? ? I am not sure where to buy many of these online. 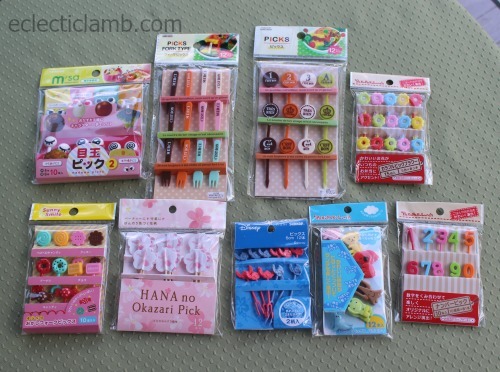 A friend in Japan went to several 100 Yen stores to get a lot of these items. Congratulations my address is international I’ve subcribed to your blog. Thanks for the chance! I love all the ideas. Subscribed to your blog. Happy Blogiversary! I’m in Canada and subscribed to your blog. Congratulations! International address here and just subscribed. I live in the USA and am providing my email address. Am I subscribing to your blog by checking the boxes under my comment, which I did? You subscribed to comments I think but will not get an email notification when I post new content. To subscribe to my blog it is on the top right of my blog – under the header and above the social media buttons. It is on the top right of my page – under the header and above the social media buttons. Thanks! Hi i subscribed today and am an international fan of your page! Congrats on making it 5 years! Happy Blogiversary!!! Love your blog and love your creativity! I’m in the USA and I subscribed to your blog! Yay for anniversaries! I am a US address and just subscribed to your blog! Can’t wait to keep reading. Congratulations on your 5 yr blog anniversary! International please! Happy blogiversary! My address is in the US and I’m a new email follower. Happy blogiversary! My address is in the US and I follow by email. Super!! My girls would love this. 5 years! Way to go! Congratulations all the way from Lithuania! Congratulations! Does it feel like it’s been 5 years? I subscribed because I am always open to new ideas for lunches. I am in the USA. I’m from the US and I subscribed! I subscribe and live in the USA :)! Congrats on 5 years. I subscribe and live in the USA :)! My two preschoolers (in the USA) would love these! Congratulations! My grandchildren will love these, since they like to bake. Live in the U.S.A, yahoo! Hello! Congratulations on your anniversary. Thanks for posting so many cute lunches. I live in the U.S. and have subscribed, as well. I look forward to receiving email updates because your site is too adorable! Thanks for giving this generous offer to all of us, too. Good luck and keep posting strong! Congratulations on your anniversary! I live in Canada and just subscribed! US address, thanks so much for the chances to win. I am international. I’m excited to check out your blog. I’ve subscribed!